Anonymous "This product is a great addition to St. John's Wort and a Rx drug"
I find that any of the products alone is inadequate to keep me on an even keel. I have suffered from clinical depression and anxiety for 36 years, since I was 20. I have used many of the Rx drugs during that time, as well as talk therapy,and have found some relief. However, this combination of Frontier's Anxiety & Fear with Source Naturals St. John's Wort and the Rx drug Wellbutrin, works the best for me. The Frontier Anxiety & Fear is a helpful addition to any Rx drug I am taking for the depression. G. Brittingham, Monterrey, Mexico - "I want to let you know how beneficial Anxiety & Tension has been for me. I often feel pressure at work or from my personal life. Whenever I feel stress or anxiety, I just spray the product. It couldn't be easier. Within minutes, I feel more relaxed - my tension level just seems to come down a notch. I always keep it with me in my brief case. 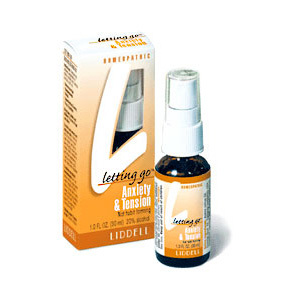 It's been a very helpful product." P. Brondo, Garza Garcia, Mexico - "My job puts me in front of the television and radio media at least once a week. I have always been somewhat of an introvert, never wanting to draw attention to myself. Needless to say, this job has been quite a challenge for me. I often feel anxiety when preparing for the cameras to roll or the microphone light to go on. 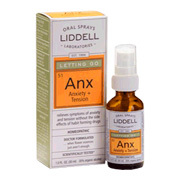 About 15 minutes before I go on, I spray Anxiety & Tension. By the time my interview starts, I am feeling relaxed and ready. Thanks for this great product. I've learned to love my job!"